Frontline Machinery's 2017 Keestrack Demo Day. On display will be the Keestrack track-mounted R6e electric impact crusher with up to a 500 TPH capacity. Offering up to 45 percent energy savings over diesel hydraulic models, the R6e is available with a 250-kW electric motor for the crusher and an electric 110-kW drive for the on-board hydraulic system. It also offers an optional all-electric plug-in operation from the mains and a plug out operation powering secondary machines such as a stacker or screener. Due to having the largest and heaviest rotor in its class, this machine is ideal for aggressive primary and secondary crushing applications including concrete and asphalt recycling and quarry applications. Also shown will be the Keestrack hybrid track-mounted H4 cone crusher. The Keestrack H4 is the world's first mobile cone crusher designed with an independent 4- x 6-foot prescreen and a three-deck 5- x 12-foot finishing screen with an oversized material recycling conveyor – producing three high-grade end products in a single pass. This machine features a hybrid diesel-electric drive concept (345-kW diesel / 330-kVA genset / 135-kW e-drive). The uniquely designed on-board generator can be removed from the crusher and placed away from its dirty abrasive environment during operation. Combined with full-electric options such as a direct plug into the mains or power from an external or the on-board diesel genset, the Keestrack H4 offers superior fuel consumption (up to 70 percent savings) and improved ease of maintenance for long-term reliability. This event provides customers an opportunity to watch equipment in action, network with other industry professionals, meet the people who make up the Frontline team and a take a tour of their shop. Lunch and refreshments will be provided, and a grand prize will be drawn at the show. 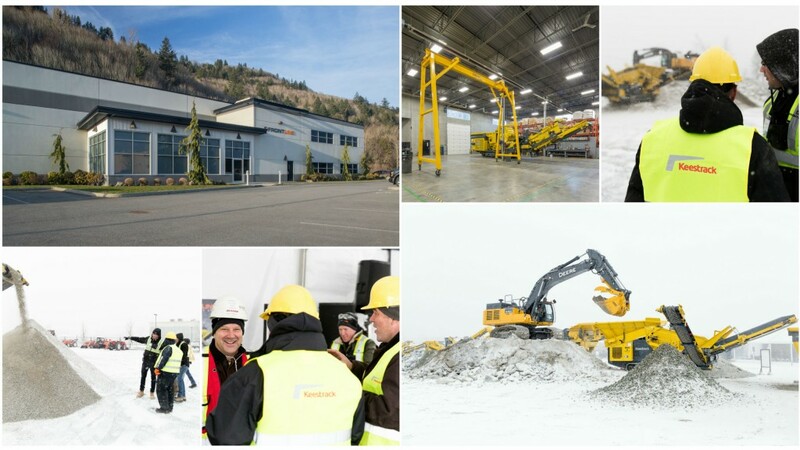 Demo Days will be held at Frontline's Western Canadian Head Office in Chilliwack, B.C. Registration is required and complete details including the agenda can be found at Frontline's website.